ProLoop is a powerful and flexible loop instrument for professional musicians as well as hobbyists. Use it as a live electronic instrument by itself or as an addition to your other gear, or just play around with it and explore the possibilities. Playing Around with ProLoop by Trapcode from Calvin Cardioid on Vimeo. Pitch can be smoothly adjusted or quantized to a musical unit such as octaves, semitones or a custom division of an octave. Or put it in sync-mode to automagically fit the length of the choosen masterloop. The sync offset can be adjusted to have loops sync at other positions than their start, and the sync can be turned off individually to allow the loops to have different lengths to create ever-changing layers of soundtextures. There is also a Freeze FX that lets you temporarily “freeze” a loop with adjustable grain size and position. 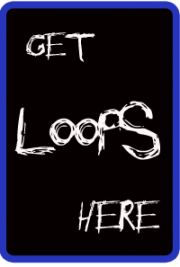 You can control all the loops in real-time, and multi-touch will let you adjust several parameters simultaneously, for example crossfading by changing the volume of two loops at the same time. audio from other music apps into ProLoop.